HandKrafted by Stephanie: SCRSC82: Fun in the Sun! SCRSC82: Fun in the Sun! Hello! 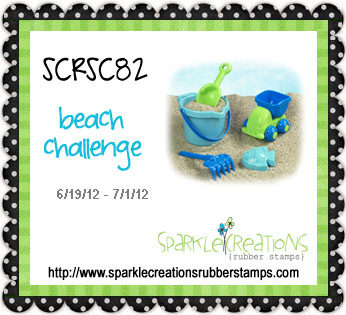 Welcome to week 2 of the current Sparkle Creations Rubber Stamps Challenge (SCRSC82)! With summer officially started, we are challenging you with a beach theme! You have until Sunday, 7/1/12 @ 9 PM PST to play along. All of the challenge details are HERE. 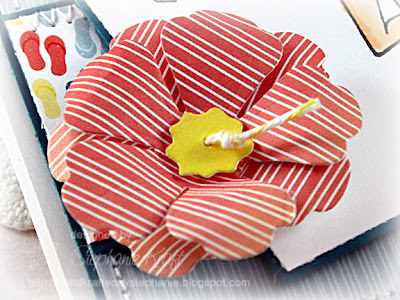 Accessories: Die-namics Hibiscus, Die-namics Mini Tabs Foursome (My Favorite Things); Markers (Copic), Divine Twine, Foam tape, Thread, Sewing machine. So cute Stephanie! Love the beautiful blossom! 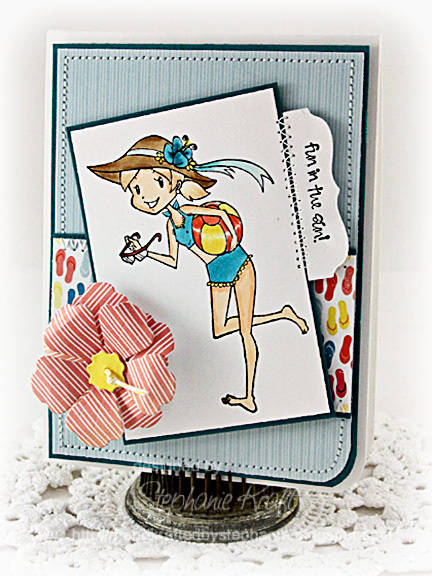 So cute and what a fun card!